Are you looking for a good family-friendly movie that isn’t riddled with product placement and CGI and won’t have you obsessively checking how many minutes are left in the film? 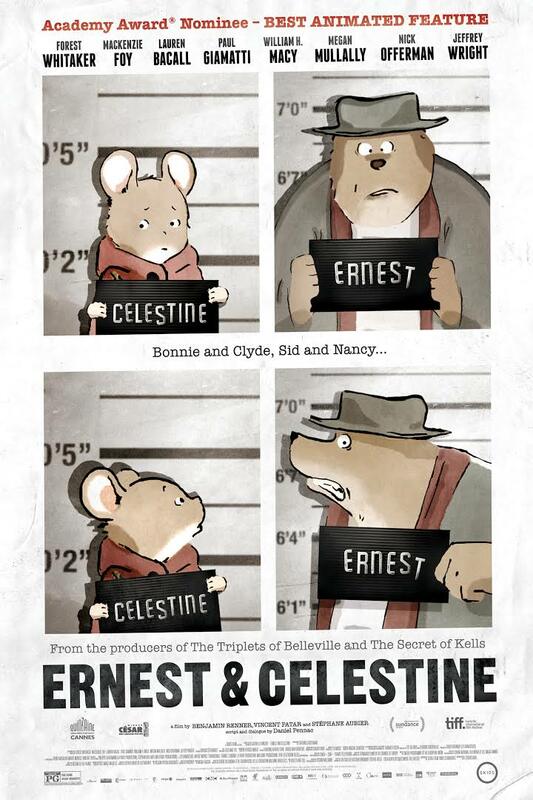 Check out the adorable animated movie Ernest and Celestine and rejoice. Based on a series of French-language picture books by Gabrielle Vincent, the movie tells of the relationship between Celestine, a tiny mouse who just doesn’t fit in with her mouse kin, and Ernest, a misfit bear. In the French and Belgian tradition, mice are the ones who find children’s teeth and replace them with gifts. Such is little Celestine’s lot in life, a life she is not well suited to. Ernest, meanwhile, performs music for money but is told that it’s not allowed. Due to desperation, he finds himself at odds with the law. When he finds Celestine trapped in a trash can, he nearly eats her but she convinces him to let her live. However, colluding with the outlaw bear has brought Celestine into trouble as well. Despite being brought up to fear bears as vicious killers, Celestine learns that Ernest has a kind and warm heart. Two lost souls who never knew they needed each other are brought together in the most unlikely way and together they learn to love themselves for who they are. It’s a refreshing movie with charmingly simple animation and a sweet story it would be hard to dislike. Good for all ages. Look out King of Prussia Mall. Here we come! Touch-a-Truck and Tent Sale. Support our local Fire Department! The images used in our posts are based on Fair Use. If we have posted something we should not have, please email: info@charlesprogers.com and the image will be removed immediately.